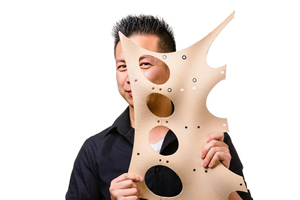 Cliff Kuang for Fast Co.Design: The bridge is really just a proof-of-concept for printed steel applications that range from shipbuilding to offshore oil rigs. Getting there will require not just better software, but robots that can teach themselves how to get better at 3D printing. DesignBoom.com: Built using a two-meter high construction robot, the machine works by moving autonomously on caterpillar tracks. James Dearsley for Seeking Alpha: 3D printing has the promise to provide all of the required solutions for our future cities, but what is the tech currently capable of? Janene Pieters for NL Times: The bridge is the first of its kind in the world and is printed with pre-stressed and reinforced concrete, according to NOS.